The Black 2-Tier Arcade Solar on Demand Fountain with LED Solar Light not only will make a dramatic statement in your garden or on your terrace, it works when you want it to! 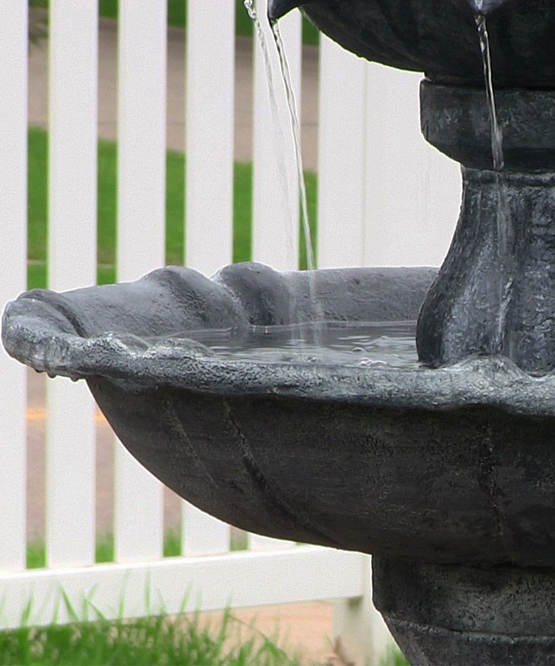 It's 45-inches high, 23-inches in diameter, and lets you decide when the fountain will operate, even at night or during cloudy weather. 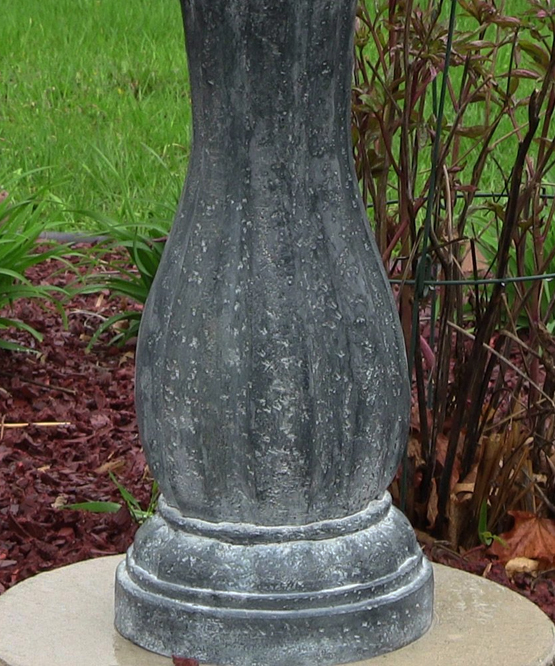 It has the rich look of stone or ceramic but is made of easy-to-maintain and lightweight resin. The 2-Tier Arcade Solar on Demand Fountain is also available in white and in tan. Solar water fountains without batteries only work when the sun shines directly on the solar panel. The Black 2-Tier Arcade Fountain's rechargeable batteries store the sun's energy while the panel also powers the pump. 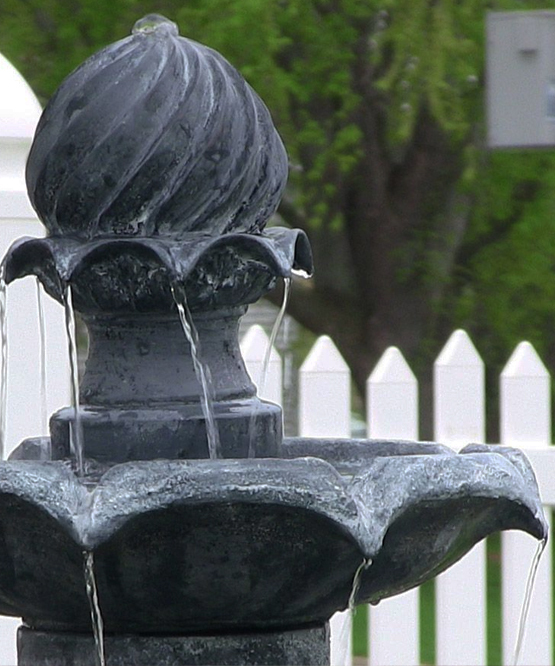 The benefit of solar on demand: you can let the fountain work automatically or use its on/off switch to allow the fountain to work at night or when it's cloudy. 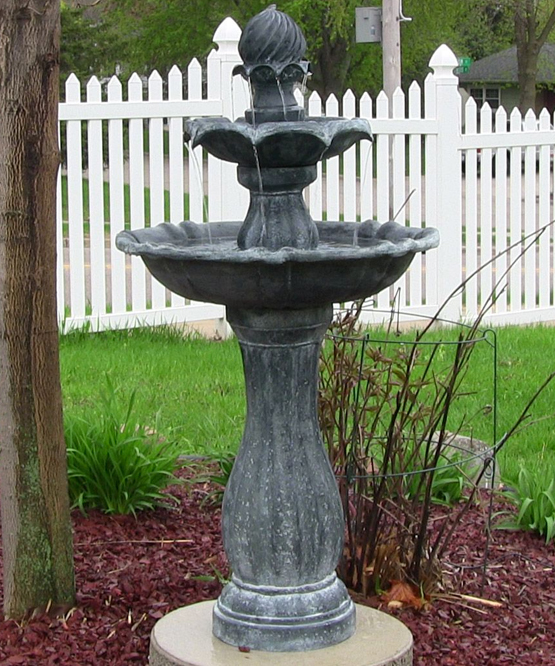 This fountain provides consistence performance using the battery's stored solar power. A 16-foot cord between the fountain and the solar panel allows you to place the fountain in shady areas, for lots of flexibility. The LED light sits in the water of the large fountain basin. This unit includes a timer that lets you turn on the pump to run for four hours. It then will turn itself off to save power. (If this option is used, you will need to manually turn the pump on to restart the fountain.